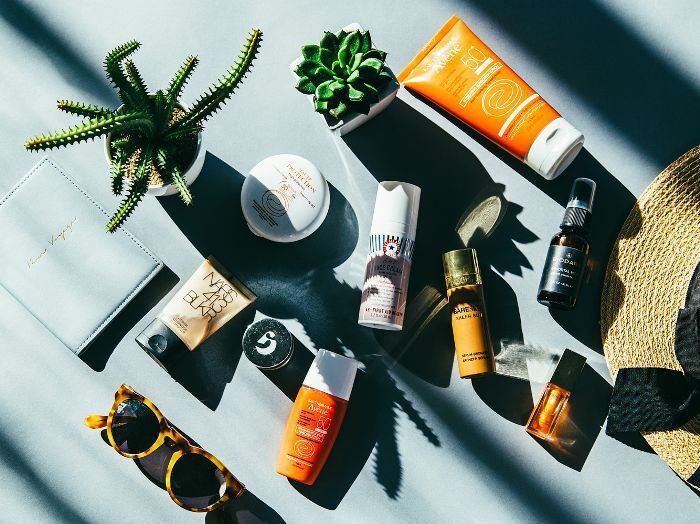 Your home and your wardrobe aren't the only things that deserve a seasonal refresh; we believe your skin should match your sunny disposition come spring. Aside from drinking skin-brightening elixirs and eating for healthy skin, we're admittedly intrigued by the rejuvenating powers of vitamin C.
"It's good for everyone to include [vitamin C] in their regime," said Arielle Nagler, MD, a dermatologist at NYU Langone Medical Center, to Health. "There is some good evidence that long-term use of vitamin C topically, even more so than taking it orally, is associated with improved skin texture and quality." While there's no harm in filling up on vitamin C–rich foods like oranges, berries, and red peppers, vitamin C serums get to the root of the problem in a more timely fashion. "Vitamin C is a powerful antioxidant that stimulates collagen production and helps to reduce signs of aging by repairing the damage done by free radicals and the sun," explains the magazine. When applied daily (just a few drops is all you need! ), you'll eventually end up with brighter, firmer skin, fewer fine lines, and a more even skin tone. What's more, vitamin C can also boost your immune system, help you fight off colds, and even strengthen your strands when consumed regularly. Convinced? Shop Amazon's best-selling vitamin C serum (just $20!) and head over to our sister site Byrdie to read up on their all-time favorite buys. 3 Dermatologist-Approved Vitamin C Creams for "Brighter, Firmer Skin"